When Paul wrote the above Scriptures, he was looking back to Isaiah 59:17 “For He put on tzedakah (righteousness) as a breastplate, and a helmet of salvation upon His head; and He put on the garments of vengeance for clothing, and was clad with zeal as a cloak.” Isaiah was speaking of Yeshua (Jesus) and his garments as our High Priest, not as a Roman soldier. Because Isaiah never knew nor saw what a Roman soldier looked like, since he lived some 600 years before Rome even existed! There were at least three different types of belts (girdles) used by the military when Paul was writing. a. A leather apron design to protect the lower abdomen. b. A belt used to hold a sword and dagger. c. A belt designating a high official or officer in the army. Isaiah 11:1-5 also references a belt: “Righteousness shall be the belt of his loins, and faithfulness the belt of his waist.” This belt is the distinctive sign of the Messiah. If Paul is alluding to this passage, he might especially be referencing the third type of belt. Once again there were a variety of types of breastplates, but the nobleman wore a scale or chain mail that covered the chest and hips. It is the finest protection available. To be clothed in righteousness indicates noble power that can act in the city gates on behalf of the poor as a righteous judge. Jesus is the righteous judge who protects the oppressed and stands up for the downtrodden. By clothing ourselves in his protection, we emulate his rule and demonstrate his nobility in our actions toward the weak among us. When Jesus walked, he was sure footed. He did not stumble but stood his ground against the evil one. (Think about his temptation in wilderness) The wicked do not know what makes them stumble but the righteous walks forward into the light. (See Prov. 24:16; Prov. 4:18) In Christ, our feet stand sure footed against the chaos of this world through sin and rebellion. In Christ, we stand our ground and bring harmony and shalom to all things. All through the Old Testament we can find references to God as a shield. (Gen 15:1; Deut. 33:29; 2Sam. 22:3; Proverbs 30:5) He is the one who takes the fiery darts of the enemy. All we have to do is rest in His faithfulness. 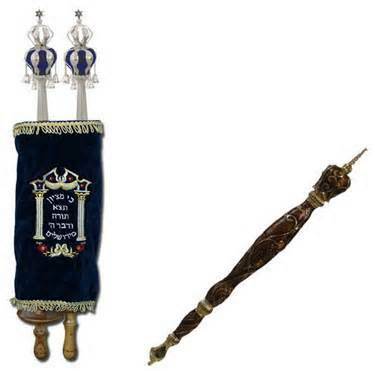 (Gartel – Yiddish for belt) The Gartel is the sash (or belt) used to tie the Torah scroll so that the Torah remains closed and secured under its velvet covering. When a Torah is found to be non-Kosher (e.g., a letter has faded) and awaits correction, its Gartel is tied around its velvet covering, on the outside, as a reminder that it is out of commission. In many communities the Torah has a decorative ornamental breast plate. 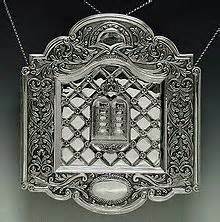 The breast plate is typically made of silver and engraved with Jewish symbols or scriptures. 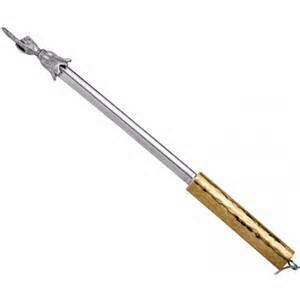 It is sometimes attached to a fine silver chain, and when the Torah is closed and covered the breast plate hangs from the Atzei Chayim over the front of the Mantel. (Yiddish, cloak) A valuable treasure is not left exposed and vulnerable. We cover the Torah with multiple coverings, dressing it in a “cloak” before restoring it to its honorable place in the Ark and drawing the curtain. The mantel is an ornate covering that both protects (Like a shield) and beautifies the Torah, typically made of velvet and embroidered with golden thread, silk, and ornamental beads. 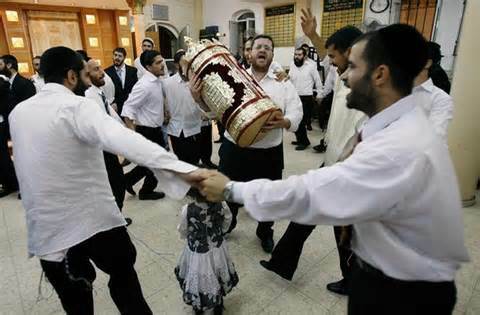 In Sephardic communities the Torah is encased in a wooden or metal casing rather than a cloth Mantel. 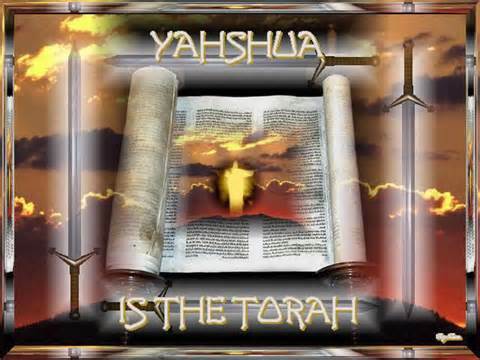 (Hebrew, crown) The Torah is our most precious possession, and we lovingly display that. We adorn it with a crown, typically silver, as a symbol of our endearment and veneration. The Kesser rests on top of the wooden shafts, which extend above the scroll. 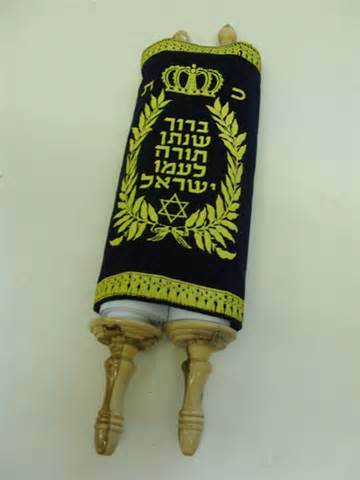 The TORAH scroll is dressed as a priest, with a belt, a breast plate, a shield and a crown. Jesus is our High Priest. On the cross, above Jesus’ head, was placed a sign that said, The KING of the Jews.” (Luke 23:38) God will place a crown on top of Jesus’ head. (Zach. 6:10-12; Rev. 6:1-2) A crown is symbolic of a king. Jesus is going to return as the King of all, Gentiles and Jews alike. When Paul speaks of the armor of God in Ephesians 6:13-17, I believe he was describing elements of the TORAH in reference to the armor of God. In context with Isaiah 59:15-17, Yeshua (Jesus) is the one being described as having the full armor of God. So in essence, these verses are telling us to put on Yeshua and his fullness. The Roman soldier analogy is a myth produced by those who do not understand the Jewishness of the Scriptures. 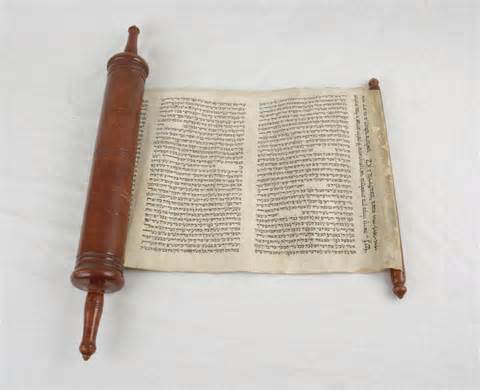 But what is even more amazing is that even though the Torah scroll has been copied over the centuries, it is still just as the original was in the Apostles’ day! And if a mistake was made while copying, then the copy was thrown away. It HAD to be perfect! This is another picture of Jesus, our PERFECT King and Savior!